A word from Thomas Smith & Aero Methow! 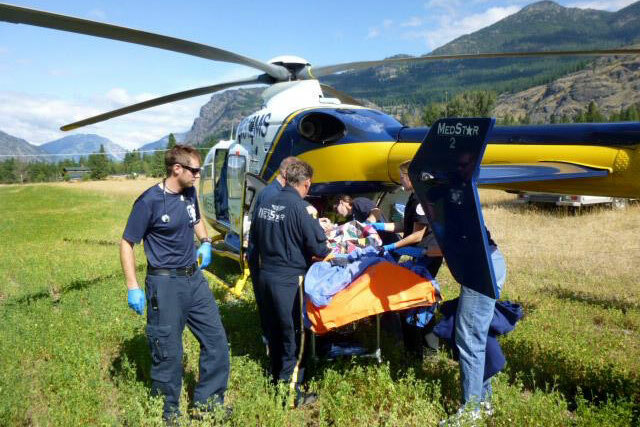 My first involvement with Aero Methow was as a patient in the summer of 2002. After sustaining life-threatening injuries from a climbing accident in the North Cascades, I was airlifted from Cutthroat Peak in an Army helicopter with the help of personnel from Aero Methow Rescue Service, and flown to Harborview Medical Center in Seattle. Two years later – and fully recovered – I took my first EMT class through AMRS, and began responding as a volunteer. In 2008 I was selected to be enrolled in the Paramedic Training Program at Tacoma Community College. Scholarship funds from MVEF allowed me to afford this training as it was a full-time academic commitment, with very few opportunities to work on the side to support my cost of living while attending school. I returned to the Methow Valley in 2009 following completion of my training and have been employed full-time as a paramedic with Aero Methow ever since. It is an honor to serve the community, friends and others in their times of need.